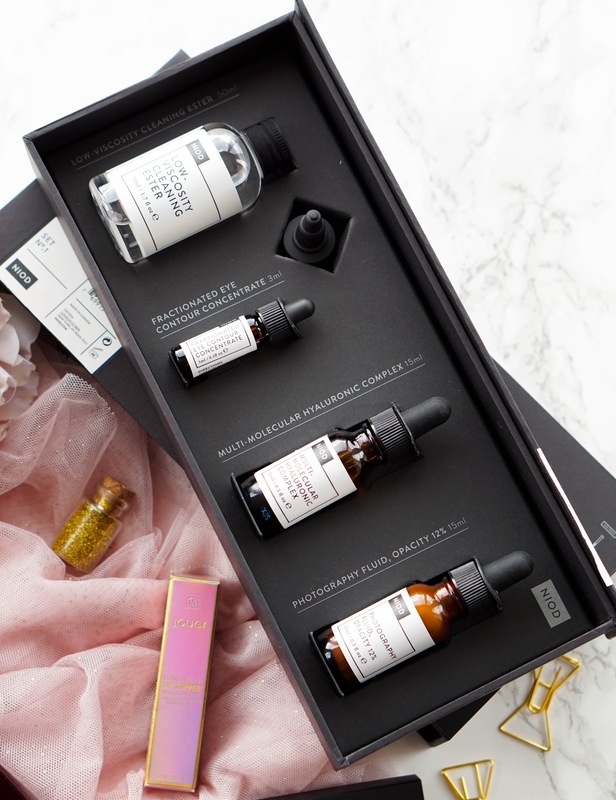 Deciem skincare is taking the beauty world by storm with brands like The Ordinary and NIOD constantly being raved about. 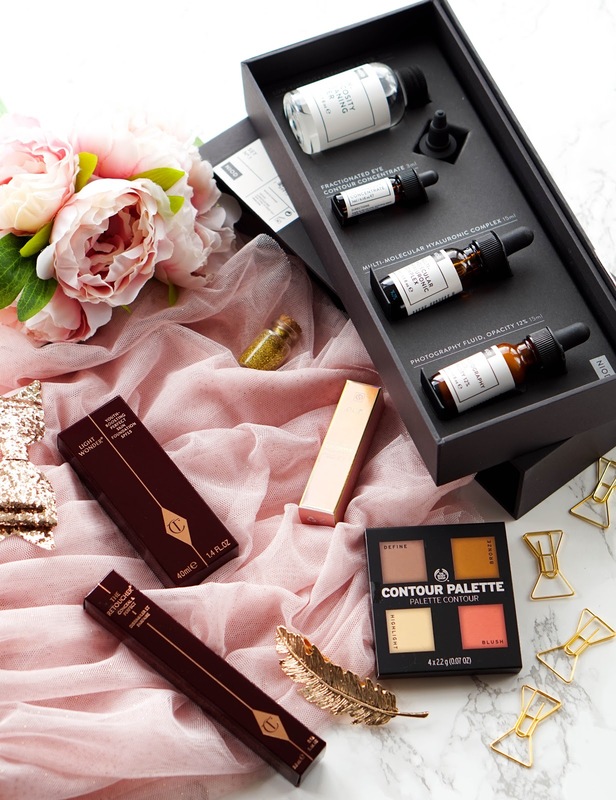 You think that with all the positive reviews I would have tried something from these brands by now, but to be honest their scientific approach left me confused and every time I browsed their website I was left feeling overwhelmed as I had no idea what anything meant. However when Sulis & Thermae got in touch about reviewing the NIOD Introductory Set, I finally gave in and agreed to give this cult brand a try. After all this starter kit seemed like a great introduction to the brand. NIOD describe themselves as 'skincare for the hyper-educated' and I couldn't agree more. 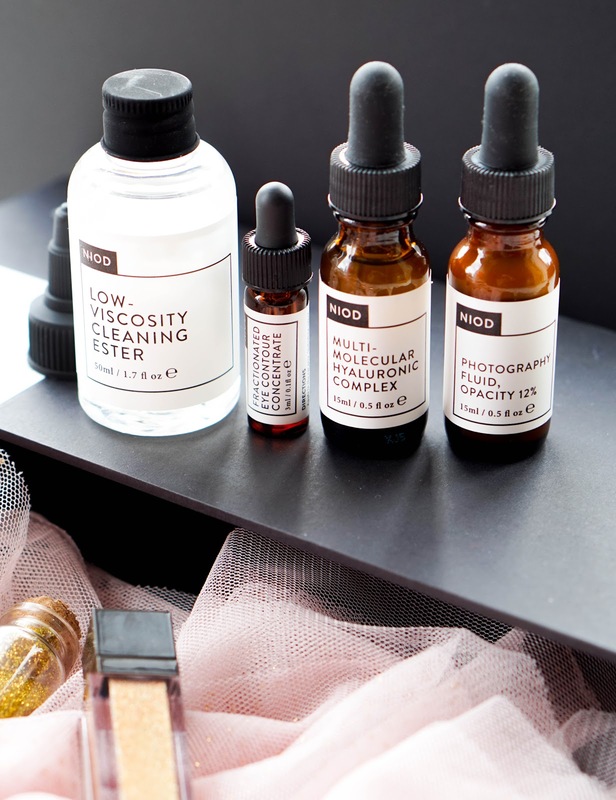 The more reviews I read about NIOD and Deciem as a brand overall, the more intrigued I become about this scientific skincare that is fuss-free but gives effective results. The brand focus on simple yet sophisticated products, with next-generation formulas that are result-driven and scientifically proven. NIOD Low-Viscosity Cleaning Ester (50ml) is a cleanser that contains isolated sugar and avocado esters, which not only help to remove every trace of makeup but also stops skin from drying out. This cleanser works wonders at removing makeup and impurities, I was really blown away. The actual formula is quite unusual.. it looks like micellar water, yet it applies to dry skin like a cleansing oil and when you remove it with water it turns into a gel like formula. I will definitely think about buying the full size when this deluxe sample runs out. NIOD Multi-Molecular Hyaluronic Complex (15ml) is a water-based serum that was developed with 12 different hyaluronic acid compounds from natural remedying ingredients. This serum aims at improving moisture levels and preparing the skin for moisturiser, makeup, etc. It leaves my skin feeling super smooth and plumped up, it just works wonders. NIOD Photography Fluid, Colourless, Opacity 12% (15ml) is a golden white priming fluid, so I'm sorry to say NIOD this is definitely not colourless. It contains 'nano-prismatic particles’ so there's a slight shimmer to the formula overall, along with a 'yellow-red hue corrector' which evens out my sallow skin tone and minimises the appearance of imperfections. I wouldn't say this makes my foundation last longer like other primers, but it does give me that glow from within kind of look, which I absolutely love. One thing I don't like about this however is the packaging, the pipette just doesn't work at all for this thick fluid so prepare yourself for a messy bottle. NIOD Fractionated Eye-Contour Concentrate Serum (3ml) is specifically aimed at targeting dark circles, puffiness and lost elasticity for the sensitive eye area. One drop goes a long way due to its low viscosity formula, so even though I have been using this tiny bottle for two weeks now I still have a good bit to go. The 28 complex approaches have been combined to help stimulate circulation and fight visible aging of the eye contour. You guys know what I'm like with eye cream, absolutely terrible at remembering to use it in my daily skincare routine. However this eye serum is a game changer and it's made me more aware of using a specific treatment like this in the future, because let's face it I'm not getting younger. So as you can see this NIOD Introductory Set was a complete success and I fear for my bank account when I do finish up the deluxe samples here, as I will want to repurchase pretty much everything (especially the cleaning ester and eye serum). 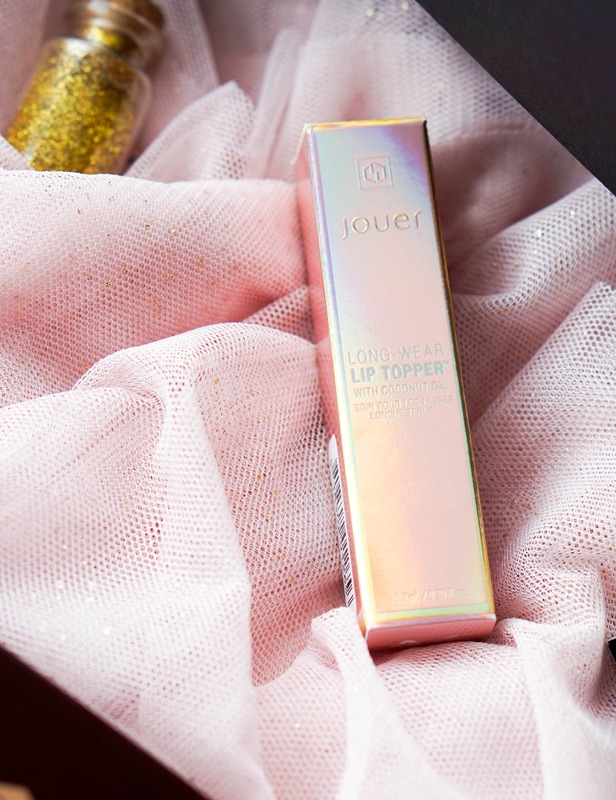 If you are obsessed with everything rose gold like I am, then you will love this Jouer Lip Topper from the brand's latest rose gold collection. You might be asking WTF is a lip topper, they are a relatively new product release and they are taking the beauty world by storm. They are basically lip glosses packed with glitter and sparkle, which I am just loving as they give off the most beautifully plumped off finish to my ever so dry and thin lips. 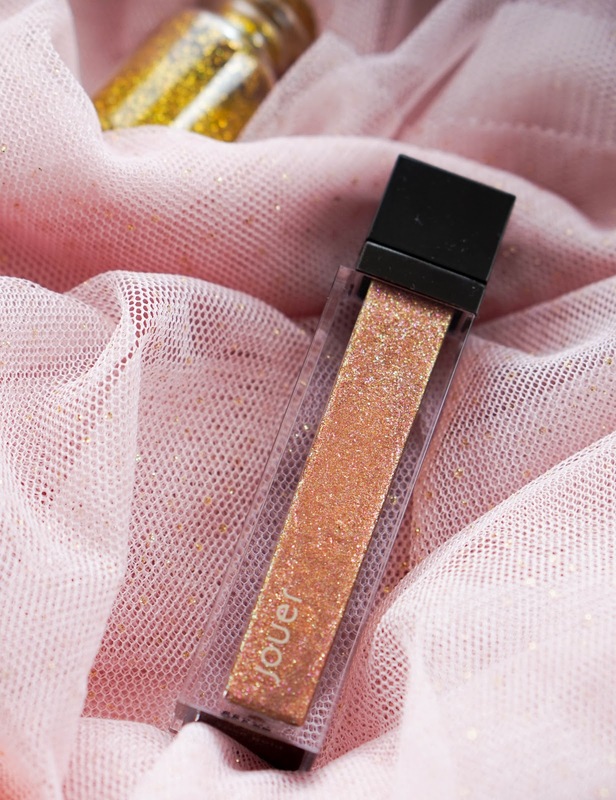 The Jouer Lip Topper in Rose Gold feels weightless and non-sticky on the lips, as it leaves a stunning rose gold shimmer finish. It contains coconut oil and vitamin E, so they also feel moisturising and super comfortable to wear. I like the doe foot applicator which is easy to use and applies the product effortlessly. It's recommended to be worn with a liquid lipstick underneath but of course you can also wear it on it's own like I am. As you can imagine it's not as long lasting as a matte lipstick, but the wear time can last for a good 3/4 hours without eating. I'm extremely pleased with this lip topper and the formula, so much so that I am eyeing up one of their other shades Skinny Dip. You're probably aware of my love for beautiful Charlotte Tilbury products, so of course when my work colleague told me that her partner can get me an amazing work discount.. I caved and placed a little order. 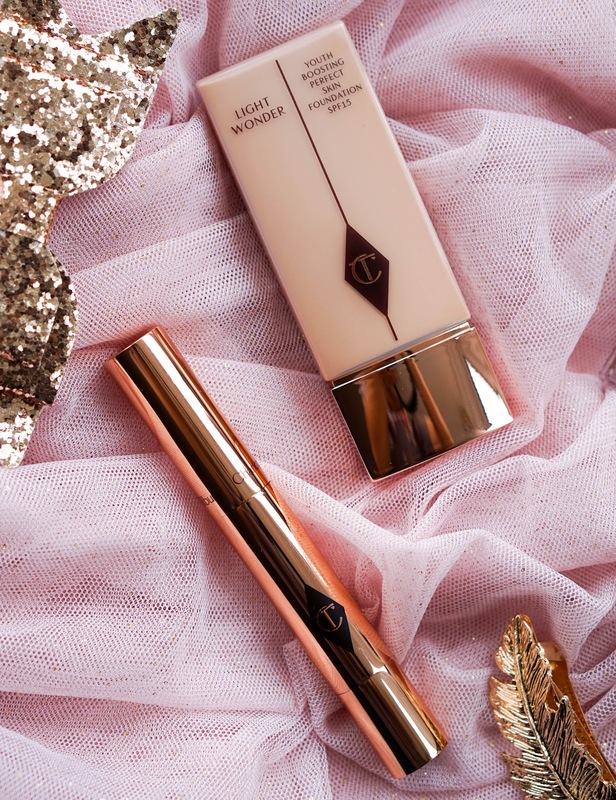 Two of the products I ordered are the Light Wonder Foundation and The Retoucher Concealer, which I want to tell you all about as they are the perfect duo for glowing and luminous skin. 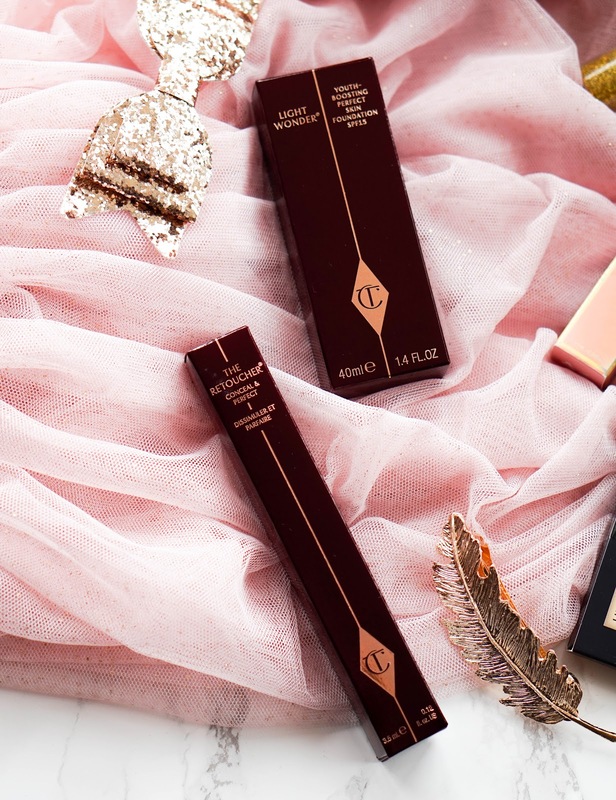 As the name suggests the Light Wonder Foundation has an air-light formula that aims at illuminating, hydrating and smoothing out the complexion. I'm all about light bases that even out my skin tone and look super natural on the skin, especially in the warmer months ahead. The coverage is not amazing, but I didn't expect it to be and I am happy that my skin is able to breathe whilst wearing it. Even though the coverage is light at first, you can definitely build it up to a more medium finish since it has a runny consistency. This moisturising tint gives off the most beautiful luminous finish and it has SPF 15 so it offers some protection from the sun. It contains active youth-boosting ingredients to helps reduce fine lines and even out imperfections. I love the travel friendly, easy to squeeze tube and I was quite impressed with the ten shades available. I picked out shade 4 Fair which is probably a touch too dark for me at the moment, but I chose it like that on purpose since I know I will tan on my sun holiday next month and then it will be perfect. However due to the light formula I was able to blend it out and make it work for me, even now when I am at my palest. You do have to set it with powder as the finish is quite dewy and it doesn't really set on its own, so I pair it up with my current holygrail Airbrush Powder from her range. The only downside is that it's not super long lasting and I do need to touch up around the 6 hour mark, but to be honest I kind of expected that to happen. I can see this becoming a staple for the summer months, I really do love the finish and how it sits on my skin. Next up say hello to my new favourite concealer, The Retoucher, which I tried a sample of a couple of weeks ago and absolutely loved straight away. I have the shade 2 Fair which is perfect for concealing dark circles and giving me that awake look. As you can see from the packaging this is one of those click pens, which releases the concealer into the top of the brush. I really like this kind of packaging for concealer and find it super easy to apply. 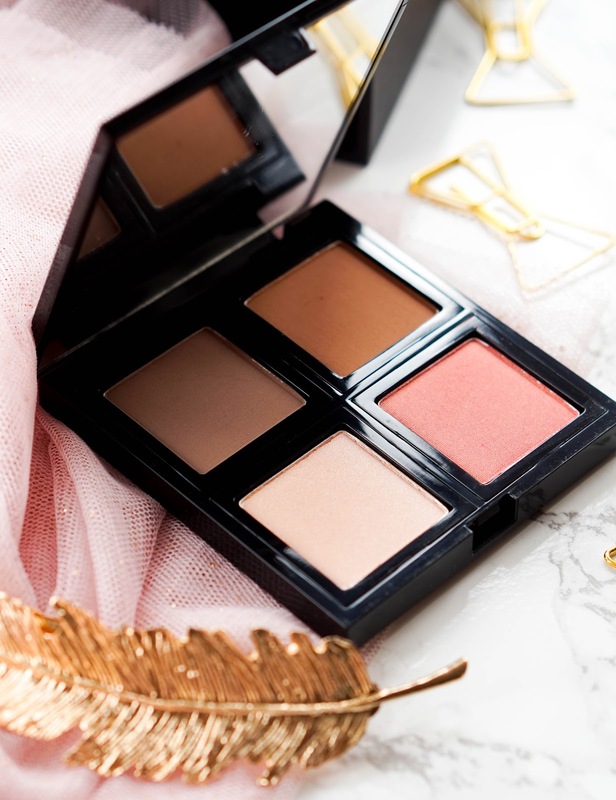 It's enriched with 'a Lipo-Siliconic compound and special elastomer pearls' to give off a super natural finish whilst blending into the skin seamlessly. 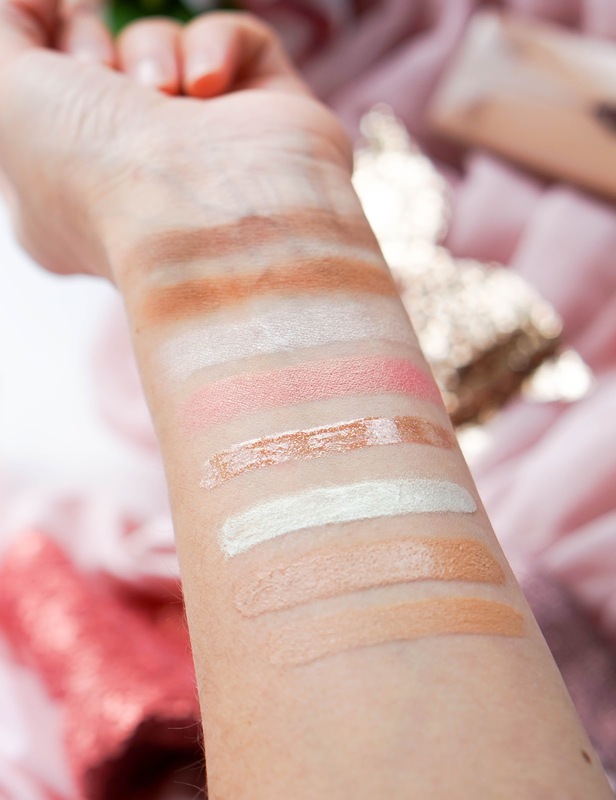 The formula is quite pigmented so it corrects and conceals imperfections perfectly. It doesn't feel drying and it doesn't settle into fine lines, which gets a huge thumbs up from me. The finish is luminous and radiant so it's perfect for my never disappearing dark circles. I honestly don't have a single bad thing to say about this and will happily re-purchase in the future. 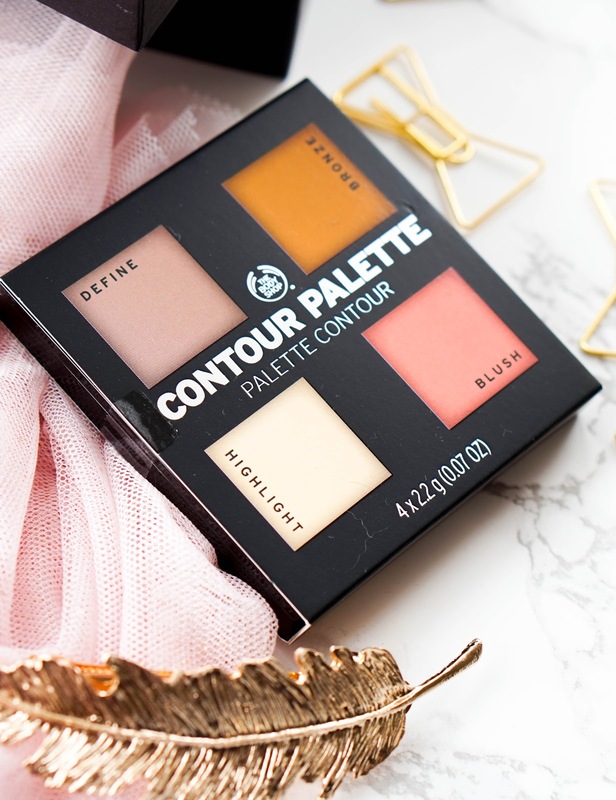 Lastly I have The Body Shop Contour Palette* in shade 01 for light to medium skin tones.This palette has 4 different shades to help you sculpt, bronze, highlight and add a touch of colour to your complexion. It's all presented in a slim compact so super easy for travelling, but I do have to mention that I personally found the pans on the small side. Saying that I can't fault the actual shades as they are perfect for my skin tone and really help to define my face overall. I actually don't sculpt the face so much, but do enjoy mixing the two different contour powders to bronze up my skin for that sun kissed look. 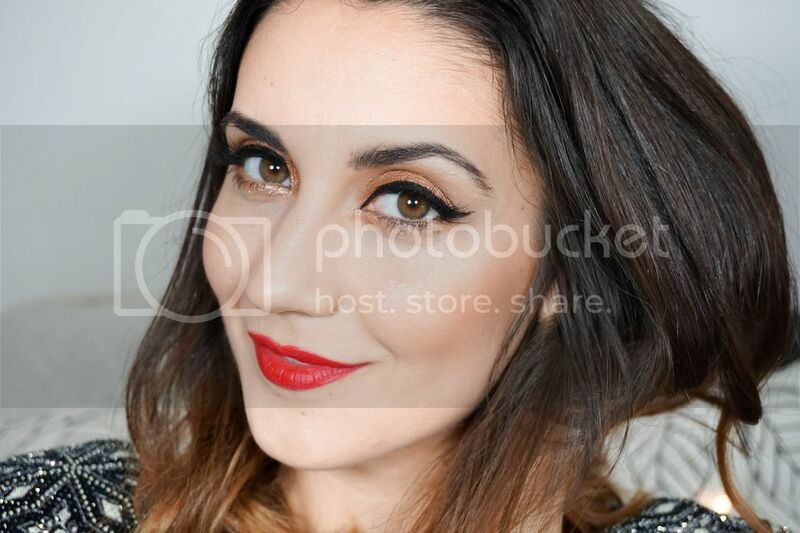 My favourite is definitely the highlighter, gorgeous golden champagne shade to highlight my cheekbones. The powders can cause a bit of fallout in the pan, so it's good to remember to tap off the excess before applying to the skin. Other than that they feel really smooth and blend out easily. For the £15 price tag, I do recommend you check it out in store to see if it would work for you. So these are my current go to products and my go to routine for glowing & radiant skin. I'm quite impressed and happy with everything I've tried here and would definitely recommend the brands. Have you tried any of these products? I'd love to know what's your must have product for glowing skin..